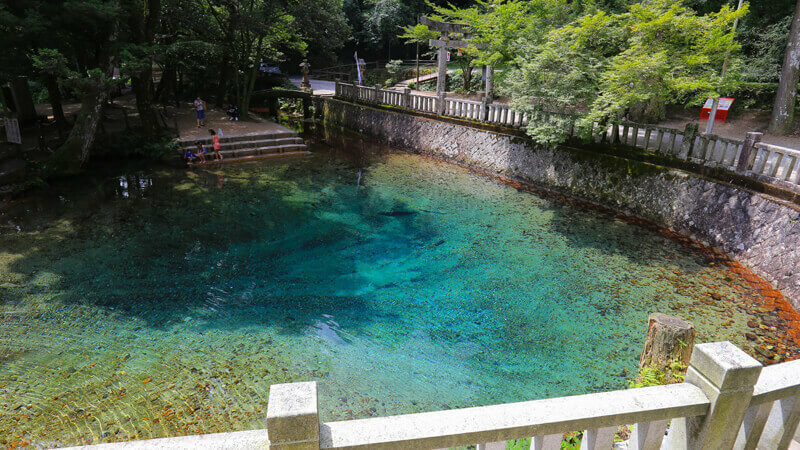 Beppu Benten Pond is a transparent cobalt blue-color spring that has everflowing pure spring water. 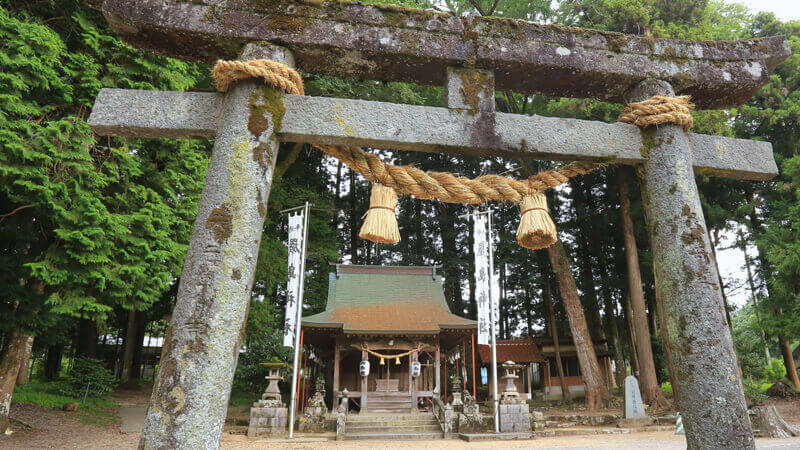 The underground water here originally comes from the rain that penetrates through the Akiyoshidai Plateau. You can take out the water from the faucet outside and try the rainbow trout dishes at the restaurant next to the pond. The trouts are raised in the spring water and are freshly caught in the farming site adjacent to the pond. This pond is located in the compound of Beppu Itsukushima Shintō Shrine. According to the legend, a chief of the clan/community leader（長者） had cultivated the land following a prophecy in his dream. 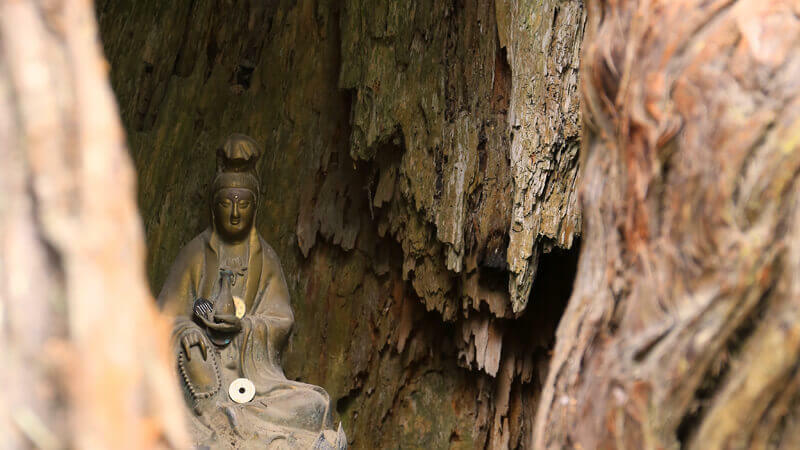 When he had been suffering from a water shortage, another prophecy told him to enshrine the goddess “Benzaiten”. After doing it, water suddenly began to spring out. Since then, the local community still dedicates a dancing ceremony every autumn to give thanks for the blessing. WATER TAKE OUT There are faucets to take water from the pond between the pond and the parking lot. Bring your bottles so that you can take out some water by yourself. SHOP The souvenir shop is opened on the following days. Copyright © karusuto.com All rights reserved.